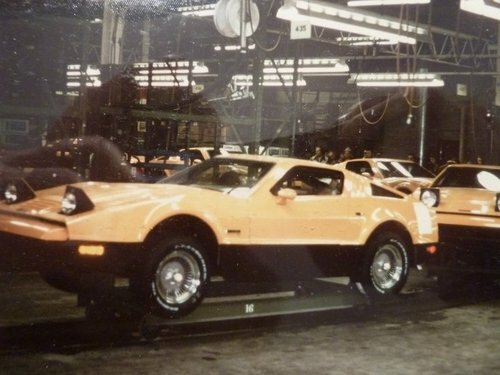 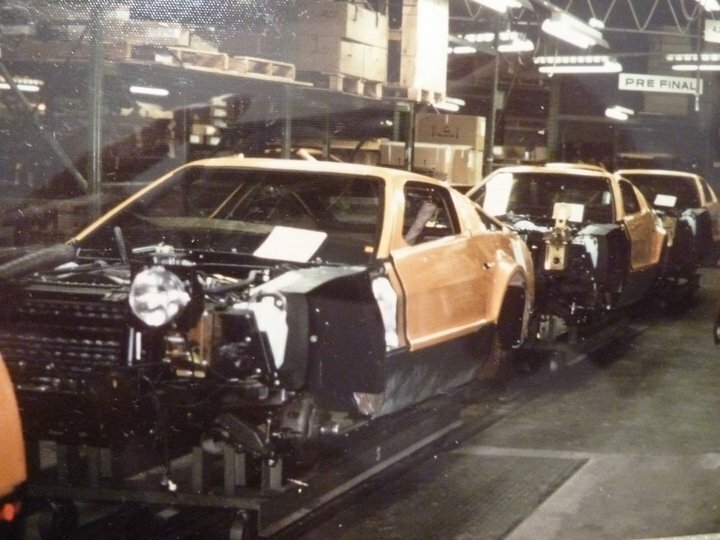 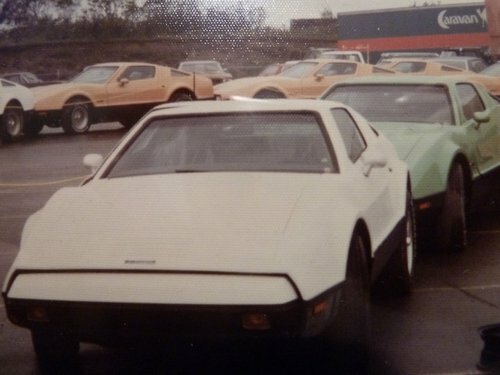 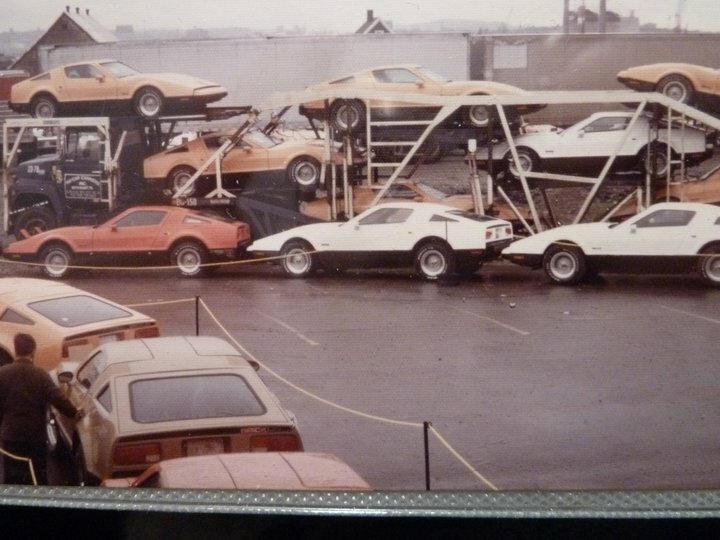 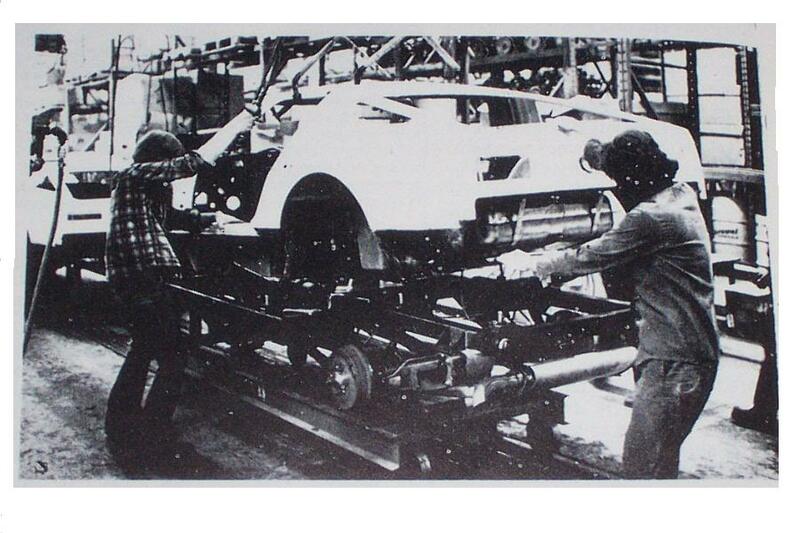 These super color photos of the Bricklin Factory and Assembly Line are courtesy of Hall A. William. Many thanks to Thomas D. Fournier for arranging the use of the photos. 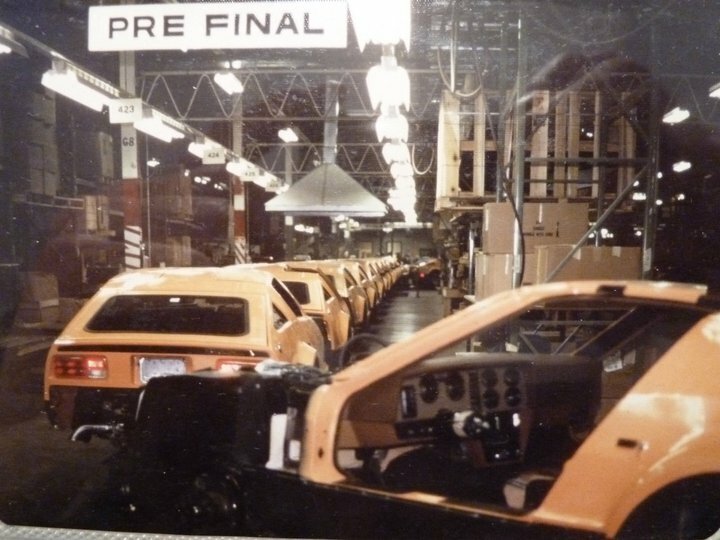 Shown is a run of Safety Orange Bricklins at the Pre Final section of the assembly line.